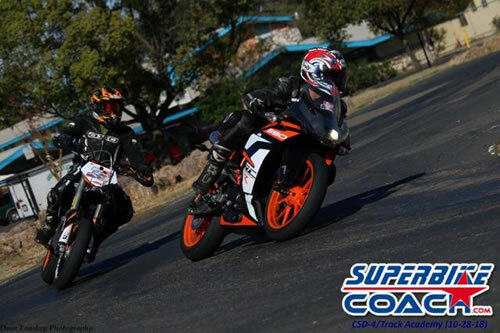 Superbike-Coach is proud to offer a new efficient and affordable class for track riders and racers: and of course for all those who want to get there. Learn how to get past mental blocks and grow your skills by working side-by-side with a professional racer and coach. 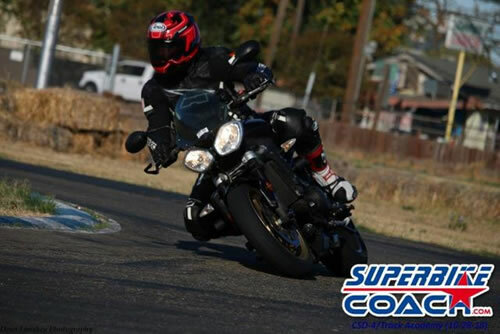 This class is fast-paced and for experienced riders, but you don’t need pre-experience with Superbike-Coach. Sign up promptly, because this class will only be taught once per year. You may say, “I won’t learn much on a small track. How will that help me win on the real tracks?”, but here is how: A smaller track means you get to repeat the maneuvers over and over until you have them perfected. The high repeating frequency allows you to focus on what’s really important?you, your fears, your imagined limitations. Think of doing this on the 13-mile Nurburgring Nordschleife for a couple of laps before your time is up. In addition, the slower speeds are not just a confidence booster, they also mean less hurt and damage if you push those limits and make mistakes. Finally, Coach Can Akkaya can see and stop you whenever it’s necessary, give you feedback, drills, tips, and demos that you can immediately apply while he watches. And, last but not least, the cost of being on a small track is significantly reduced. Think logic before saying no. Accept Coaches challenge and come with your ‘bring it on’ attitude, because this class on this track is the advanced you been looking for. No hidden fees, but free of charge sport photography instead, and we’ll also bring free water and snacks. 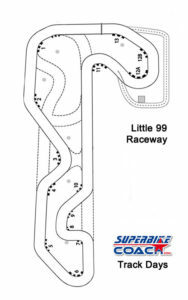 Come with up to date gear and bring your lap timers- because you’re about to drop some seconds. The Track Academy splits your time into a 60:40 track-to-classroom ratio, starting at 09:00 a.m. and ending at about 04:30 p.m.. Sign up early since this once-a-year class has a maximum 30 spots. After you book, we send you a questionnaire that you must fill and return. We’ll then confirm your spot in one of the three level groups. The pace is high, so don’t think that this is for you if you are new to track riding and if your rider level is low. 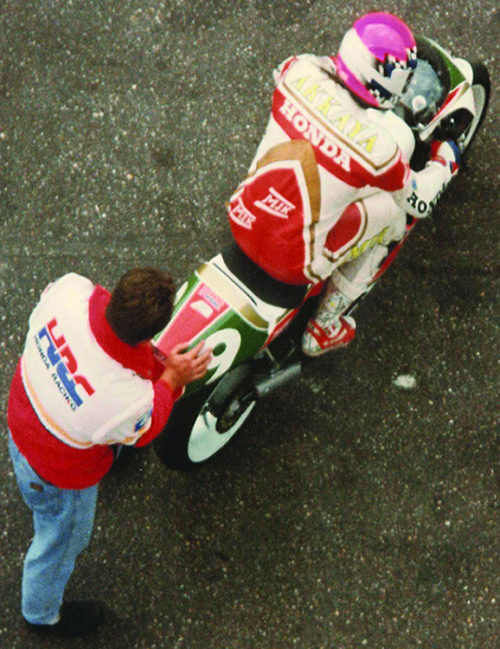 In this case you might consider taking the Cornering School program, because your Coach will not hesitate to take riders out who obviously are not ready (not about speed!) to do this. After booking, we’ll send you a question-naire which you will have to fill and return. Based on the answers you give we’ll confirm your spot in one of the three level groups. Because... the fastest lap time will be awarded with a little surprise. Of course our priority is your safety, and you’ll gain speed by gaining safety at the same time- but this class is designed to drop your lap times, on Little 99, or where ever you go. The techniques and lessons will make you identifying your issues. Bring your lap timers and if there is the time your coach will be more than happy to analyze this with you. In case you don’t have a lap timer or GPS data logger- there is a free phone app you might want to look into. 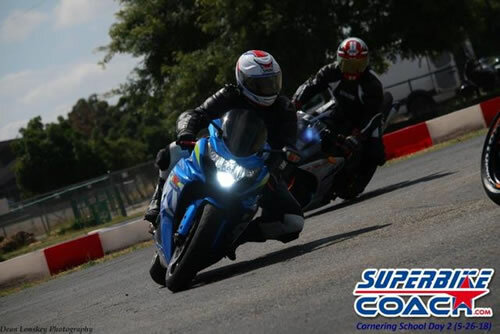 The Track Academy is for the experienced track day rider- or even amateur racers. No previous SBC classes are required, but the pace will be accordingly. Also track oriented Cornering School program Day 1-3 graduates can attend, which we highly suggest if this Race Academy sound too advanced. Coach Can Akkaya comes with lots of drills to make you find the limit on all the racetracks you’re going to take on, so that the it doesn’t matter if we coach you on a ‘small track’. Always changing track layouts and passing all over the track puts you onto a challenging spot!